The LG LMU369HV+LMCN125HV+LMCN185HV Dual Zone Ceiling Cassette Mini Split Heat Pump System will provide you with 30,000 BTU of capacity for hot summer days and cold winter nights. 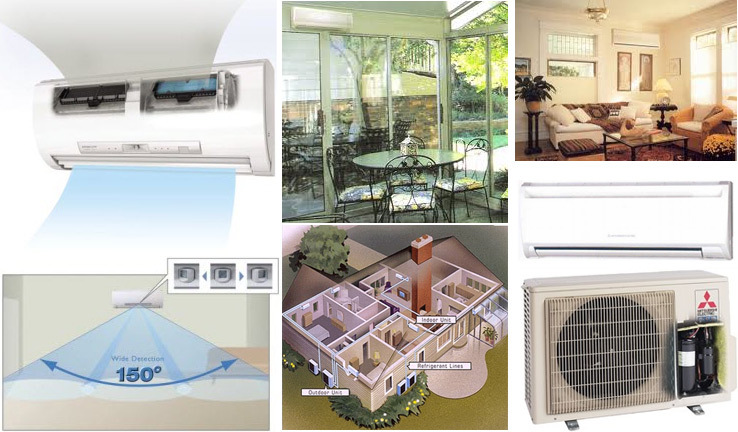 LG maximized the efficiency and economics of duct-free technology used in mini split heat pump systems. Now you can bring more attractive, cost effective solutions to your commercial and residential applications, providing two zones of both air conditioning and heating needs. This complete system creates the perfect climate control for your space and makes any application fresh and comfortable. 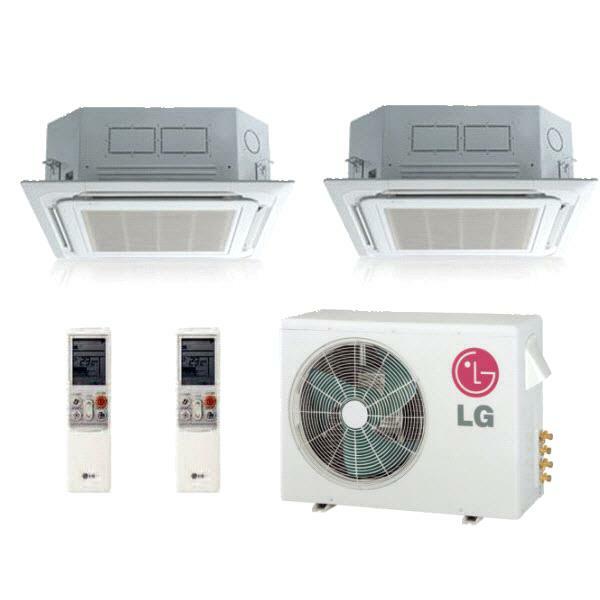 LG LMU369HV+LMCN125HV+LMCN185HV Dual Zone Ceiling Cassette Mini Split Heat Pump System uses an inverter, which uses a variable speed compressor that is quieter to operate and uses less energy than conventional air conditioners. When the selected temperature is reached, the inverter compressor operates at low speed to maintain that comfort level. LG inverter models have efficiency ratings of 16.0 - 19.7 SEER, making them among the most energy efficient in the industry. Plus, with capacities ranging from 9,000 - 48,000 BTUs, its easy to find a unit to match any size room. Finally, when the weather turns cold, its reassuring to know that the LG LMU369HV+LMCN125HV+LMCN185HV Dual Zone Ceiling Cassette Mini Split Heat Pump System offers more heating power than conventional mini split heat pump systems. Whats more, LG inverter models are as stylish as they are efficient. LMCN185HV - Indoor Unit with Wireless remote control.